... and on the book's spine. 1. 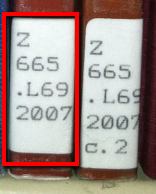 When searching the library catalog, you want to be sure to write down the complete LC call number in order to locate the book on the shelf. 2. Use the map of the stacks to find the location of the subject. Can't fit in the small space between the shelving? 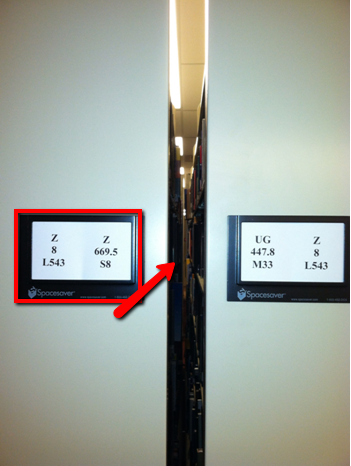 See this Research Guide for information about the Moveable Shelving in the Library. If you have questions or would like assistance, stop by the Research Center on the Main Level. 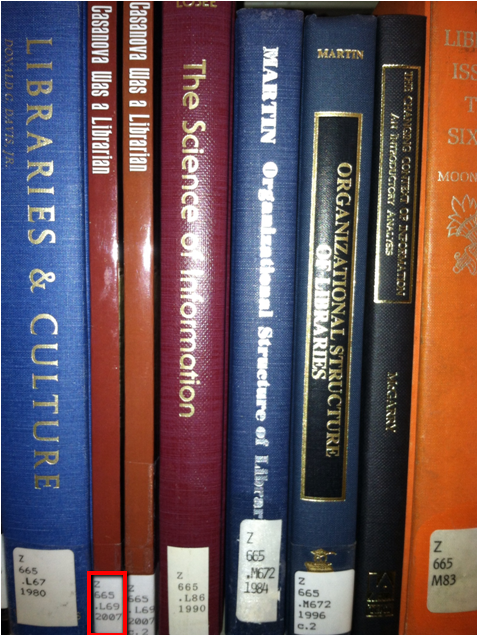 Learn more about using Library of Congress Call numbers to browse for books on your topic here. Finally, if you prefer, the Library can retrieve books that are in the Main Library for you using the "Request" book paging system. Read more about that service here.